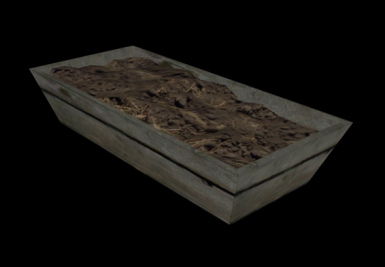 This resource mod adds four new models to the game: three different mutfruit plants (one is just an empty stem) and a wooden box with some soil to grow mutfruits in it (because the soils of wasteland seem to be unfertile; however, you can put my mutfruit plants wherever you want, you don't have to place them in this box). I had already tried to upload this resource some months ago using Point Lookout's punga fruit stems but it was deleted quite soon after the uploading because of copyrights (my resource was independent from the DLC but I used its models). 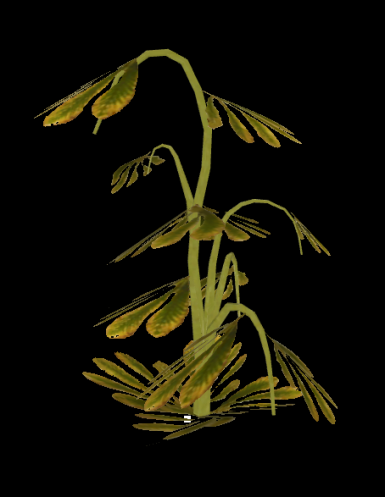 OK, I agree, this was my fault but now I've created my own stem model and texture and I think they look good enough for uploading as a resource. 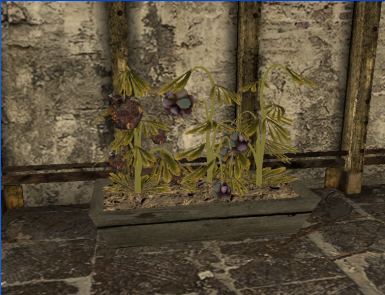 The two of three mutfruit plants models are static, so, they can only be used for making some immerse of farmership in the game. 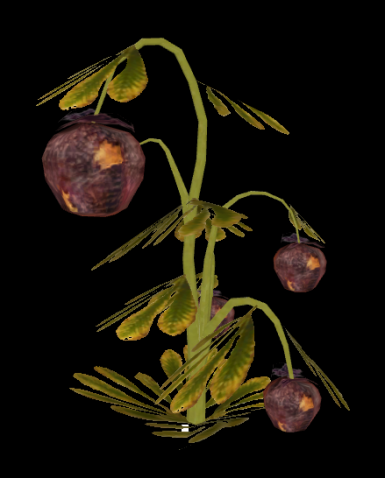 However, if you want to make some harvestable plants, you should do it this way: open the mod, place the empty stem model wherever you want and then take the vanilla mutfruit model (IDs Mutfruit1 or Mutfruit2) and place it to any end of any of stem branches. 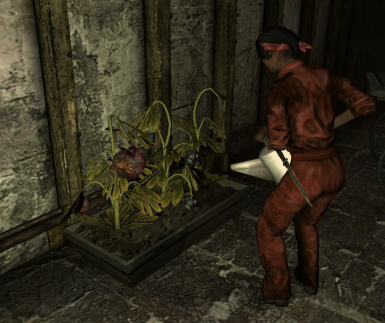 The archive contains an example .esp: I placed my models in the basement of the Big Town clinic and Red waters these plants sometimes (of course, if she's alive, saved from supermutants and not enslaved in your game). In version 2.0 we tried to create a resource with harvestable plants which means every NPC is able to harvest plants, for ex. if it's the player i.e. you: you activate the plant, one fruit is being added to your inventory and one fruit disappears from the model. You take one more fruit and it's all the same as before. And so on. Every taken fruit is going to "grow" again after some game days. It seems to be easy to make but that's just a vision. We had worked hard to achieve this goal and after so long time we have two totally different implementations of such resource mod (only models and textures look similar in both ones), each has some advantages and disadvantages. The first version (aMpPlants_1.esp) is created generally by hikky71. In this version a mutfruit plant is a container, so, you can just take and drag it anywhere you want, just don't forget to make your references persistent. The main goal is that you have a quite easy realization of what I told before and it's easy to force any NPC to activate these plants (because these plants are containers), so, you should use a usual sandbox package. The main glitch about this version is that when you take the second/third/fourth fruit from the plant, the previously taken fruits are appearing for a short moment and then they disappear again. This flickering is a bit annoying. In this version a new fruit should grow again every three days if anyone had taken some fruits from the plant before. Moreover, hikky71 managed plants to be burned with fire and it looks rather cool. hikky71 has also fixed bad textures paths and havok data in the models. The second version (aMpPlants_2.esp) is created by Sergey_Ros. In this version mutfruit stems and fruits are different activators, so, you must place the empty stem and fruits to the ends of its branches manually via the GECK. 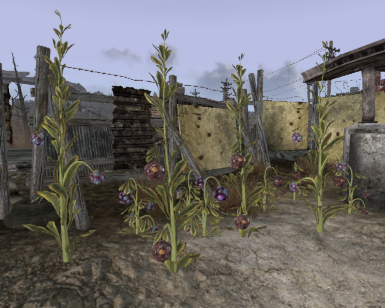 It requires some dexterity but the main goal is Sergey_Ros has managed to avoid flickering when you or any NPC are harvesting any plant. 2) Double click on it and check the "persistent reference" tick. 7) Press "Select reference in render window"
That's all but you should do these operations for every plant you want to make harvestable ) That's the main disadvantage of this implementation of the mod. 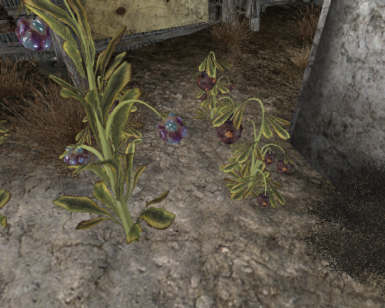 One more disadvantage is that you must create custom AI package to make NPC able to harvest these plants. But I think advantages are worth it: no any flickering when you or any NPC are harvesting any plant + you can also burn any plant with fire + you can shoot fruits with firearms, they will blow up. It works perfectly so far, just avoid only one thing: when you are placing the stem anywhere, make sure it's lower part isn't under the floor, you won't be able to burn the plant if it is. 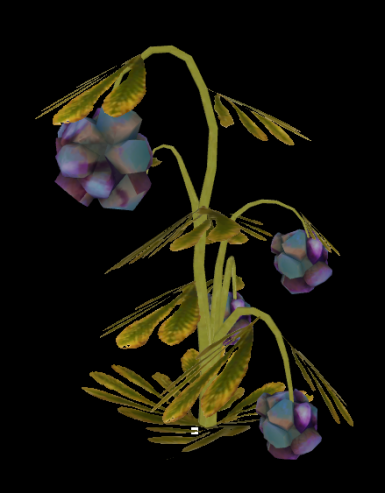 Sergey_Ros has created the perfect illustrated tutorial to the algorithn of placing plants, everything written above here is illustrated with pictures there. If you'd need any help with the mod, just PM me, d_ivanov, we all'll look what all of us would be able to do. Version 2.5: cosmetic remake of old models, the texture is changed to a much more detailed one, a new stem model is added. It's recommended you to look at these mods. 28.03.2010 - Initial Release, reuploaded after 3 downloads because I forgot to write the link in the Readme. Thanks to TesAll.ru and personally to Filosof for their great 3ds Max school and rumor wiki.